Fist of the North Star: Lost Paradise is coming to North America and Europe on October 2nd, 2018. From the developer of the Yakuza franchise (Ryu ga Gotoku Studio), Hokuto no Ken: Lost Paradise is a high-octane action-adventure RPG set in the world of the Fist of the North Star manga. 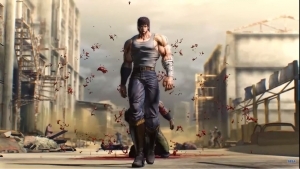 Kenshiro stars as you progress through an alternate universe of the original story, obliterating hordes of enemies with the Hokuto Shinken techniques. It will also boast the same ludicrous side-missions, wonderful minigames and so much more that fans of the Yakuza studio have come to know and love.